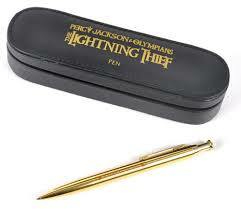 Anaklusmos.... Percy's pen. Wallpaper and background images in the The Heroes of Olympus club tagged: photo percy's sword percy jackson percy jackson's sword anaklusmos riptide. This The Heroes of Olympus photo might contain claymore. Holy chiz, I WANT IT! DADDY I WANT IT NOW!